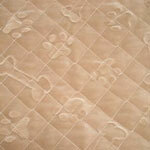 Your pet will enjoy going on trips with you in his/her Pet Luxury SUV Pad and Bed. 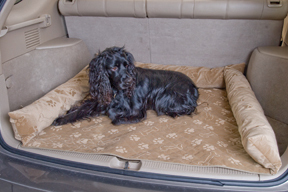 The Luxury SUV pad keeps your vehicle safe and pet comfortable. the microfiber fabric makes a plush surface, and the stuffed bolsters provide a comfortable resting spot. The water-resistant, non-skid backing leaves you feeling comfortable that your vehicle's interior will be protected.